In a groundbreaking ruling, the U.S. 9th Circuit Court of Appeals overturned the federal Environmental Protection Agency's (EPA) approval of a pesticide, sulfoxaflor, because the approval was "based on flawed and limited information." In an article in the Los Angeles Times, it said that "initial studies showed the insecticide was highly toxic to honey bees" and quotes one of the three-judge panel as writing that "bees are essential to pollinate important crops and in recent years have been dying at alarming rates." The lawsuit challenging its approval was brought by a consortium of beekeepers and beekeeping organizations, which were represented by Earthjustice, an environmental group. The pesticide, a neonicotinoid made by Dow Agrosciences and sold under the brand names Closer and Transform, was registered for use on lettuce in California in 2014, but because the approval by the EPA was national, the ruling revokes its use nationwide. The article quotes the ruling as concluding "given the precariousness of bee populations, leaving the EPA’s registration of sulfoxaflor in place risks more potential environmental harm than vacating it." A toll-free hotline has been established in Oregon to help Spanish-speaking workers report mistreatment in the workplace, according to an article in The Oregonian by work life reporter George Rede. Part of the U.S. Department of Labor's Employment Education and Outreach alliance, EMPLEO (Spanish for employment) is "a program designed to help workers cut through red tape with a single phone call." 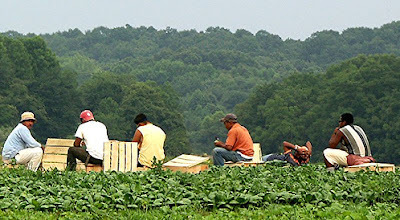 The article says that "in Oregon, workers are especially vulnerable in construction, restaurants and forestry jobs involving tree-planting and thinning" and quotes Juan Coria, deputy regional administrator of the Labor Department's Wage and Hour Division office in San Francisco, as saying "we're seeing a lot of workers being exploited because they are unaware of their rights and resources." The number? 1-877-552-AYUDA, Spanish for "help." 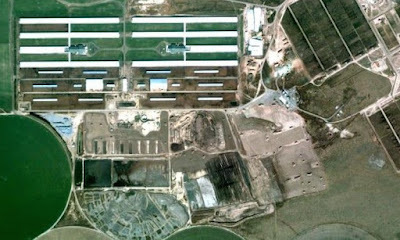 In a move that feels to Oregon's family farmers like a kick in the teeth, Governor Kate Brown has deliberately overlooked them in favor of appointing the manager of a powerful out-of-state factory farm to the State Board of Agriculture. The board, which advises the Oregon Department of Agriculture (ODA) on policy issues, also develops recommendations on key agricultural issues, and provides advocacy of the state's agriculture industry in general. Marty Myers, the governor's appointee, is general manager of Threemile Canyon Farms LLC (photo above), which opened a plant in Boardman on the Columbia River in 2001 and has been "at the center of several controversies, including labor violations and allegations of animal abuse," according to an article in the Capitol Press by Kendra Kimbirauskas. Kimbirauskas said the plant in Boardman, which supplies milk to Tillamook Cheese, is licensed to expand to 90,000 cows in a concentrated animal feeding operation (CAFO), and that in 2005 it revealed it released 5.6 million pounds of ammonia into the air each year, a byproduct of decomposing liquefied manure. As a result, Threemile Canyon has been accused by the U.S. Forest Service as being "one of [the] two major sources of acid rain and haze in the Columbia Gorge." So why did Governor Brown choose Myers to the 10-member Board of Agriculture rather than Jon Bansen, a 4th-generation dairyman in Monmouth, who also applied for the appointment? We may never know, because, as Kimbirauskas points out, the appointment process "allows the Department of Agriculture and the governor’s office to work in secrecy to secure the appointment of their preference without any public scrutiny. Further, the Board of Agriculture is exempt from Oregon Government Ethics requirements that public officials provide statements of economic interest to ensure financial conflicts of interest are disclosed and addressed." With small to mid-size family farmers comprising close to 85% of Oregon's farm ownership, it seems Gov. Brown could have made a different choice. I don't always have the time or am not always looking in the right place to get these stories that are important to me. Thanks Kathleen. Glad you find them helpful, Nadine! I figure if I find them interesting or helpful, it might be worth sharing. Thanks. Thanks for mentioning Kendra's piece Kathleen! And a really good ending question: Why DID Governor choose Myers over Bansen? Is there a score card somewhere? An advisory committee that helps w/nominations?